One side displays 14 red and white wine grape varietals. For each varietal there is abundant information about taste and flavor and significant growing areas worldwide. 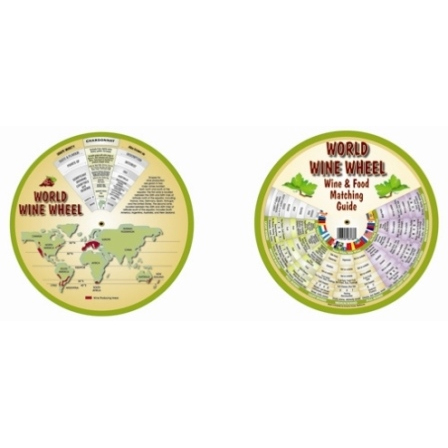 The reverse side shows suitable matches for various food styles with selection of wines from around the world. 9-1/4" diam.